Center who was selected 4th overall in the 2014 NHL Draft by the Calgary Flames. He helped lead the Flames to the second round of the NHL Playoffs in 2015. He began his professional career with the OHL's Kingston Frontenacs in 2012. During the 2013-14 season, he scored 36 goals and tallied 55 assists in 57 games for the Frontenacs. He scored three goals and also had an assist in 11 postseason games for the Flames in 2015. He was born in East Gwillimbury, Ontario, Canada. 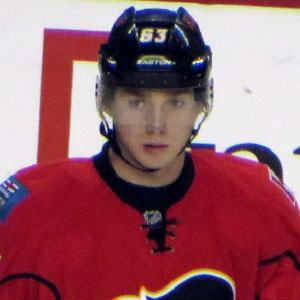 He became teammates with winger Johnny Gaudreau on the Flames in 2015.